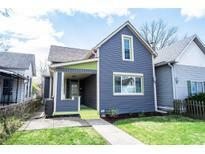 Find Fountain Square, IN Homes for sale. View Photos, Maps and MLS Data Now! Off street parking and parking behind home with an automatic gate. 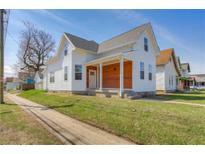 MLS#21633458. F.C. Tucker Company. Fully fenced in back & front yard to keep your furry friends close by, while you spend time grilling out or reading on your covered front porch. MLS#21633187. F.C. Tucker Company. Having new mechanical including 95% efficient furnace, A\C, plumbing, updated electrical, & a waterproof basement this home is sure to be maintenance free. MLS#21632740. Front Porch Real Estate, LLC. This is a superb package of space and location! ! MLS#21631080. In Place. Fully fenced back yard with deck. Detached 2 car garage. MLS#21631320. Plat Collective. Seidensticker - Property also features a massive 2 car garage and private backyard, and the handsome covered front porch is the perfect touch that will ensure this house is the perfect place to call home! 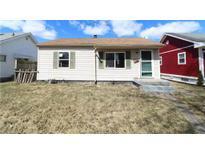 MLS#21629533. Front Porch Real Estate, LLC. Currently a 3 Bedroom 1 Bath but room for much more! MLS#21628744. BLP Realty Group. Bring this one back to life and make it your own!! ! MLS#21628988. Red Bridge Real Estate. So much character in one of Indy's most hip & hot areas. 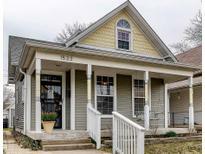 Historic, Renovated, Charming! MLS#21627458. RE/MAX Results. 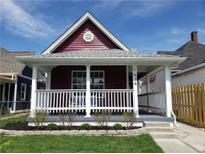 Walking distance to everything in Fountain Square! MLS#21625825. F.C. Tucker Company. Installed Smart Nest Thermostat is Wi-Fi and Alexa friendly. MLS#21626388. Luxcity Realty. Great location and convenient to everything! MLS#21625400. RE/MAX Results. Be sure and check out this wonderful little home. MLS#21623921. R. P. Lux Company. 2 car garage. HSA Home Warranty included. 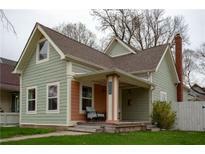 MLS#21618918. CENTURY 21 Scheetz. Vibrant & walkable with shops, new housing, & great pubs/restaurants such as Beholder & The Mayfair Taproom. MLS#21619632. Asset One Real Estate Company. 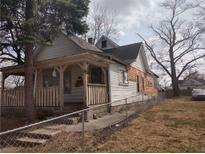 Rehab on house next door begins in Spring of 2019! MLS#21617139. Esquire Real Estate Group LLC. Walk to all the restaurants and shopping in just minutes with the cultural trail winding through to take you on a scooter or bike all throughout the city! MLS#21616159. Plat Collective. Set up time now to view this fantastic home! MLS#21615079. Keller Williams Indy Metro NE. Huge fenced back yard for your raised garden areas. MLS#21614445. A.S.A.P. Real Estate.